Making sure your indoor air system is always running at top quality is a task that every home owner deals with. For many people, replacing air filters can be a burdensome and costly chore. Fortunately, here at Filter Shipping, we pride ourselves on our unparalleled commitment to product quality and customer service. This means that we offer some of the best air filters and related products on the market at a cost that won’t break the bank. We proudly carry Nordyne air filters for home or commercial spaces at an affordable cost and are simple and quick to install. 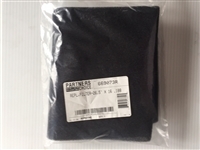 We stock a wide variety of Nordyne filter types, all with different sizes, MERV ratings and constructions. Because our inventory of Nordyne air filters is so far reaching, finding the perfect filter to fit your home and family’s specific needs has never been easier! 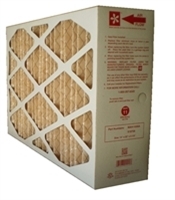 Trust the experts at Filter Shipping as your leading online retailer for top-quality air filters and related products. Exact Size: 14" x 22" x 5.25"
Exact Size: 19.75" x 22" x 5.25"
Exact Size: 22.5" x 22" x 5.25"